While fiber optic technology has been developed and deployed in telecommunications for many years, network complexity still exists within the Local Area Network (LAN), accompanied by users’ increasing demands for higher network speeds and greater bandwidth. Media converters can just provide solutions for those problems by utilizing fiber when it is needed and integrating new equipment into existing cabling infrastructure. There are many aspects that can be discussed concerning about media convert, like its working principles, types, and applications. This paper will focus on these basic information. Media converters are simple networking media conversion devices to connect two dissimilar media types, including copper-to-fiber and fiber-to-fiber (See the figure below). In copper-to-fiber conversion, media converters are used to convert the electrical signal used in copper Unshielded Twisted Pair (UTP) network cabling into light waves used in fiber optic cabling. As for fiber-to-fiber conversion, media converters are needed to convert a dual fiber link to a single fiber using Bi-directional (BIDI) data flow. 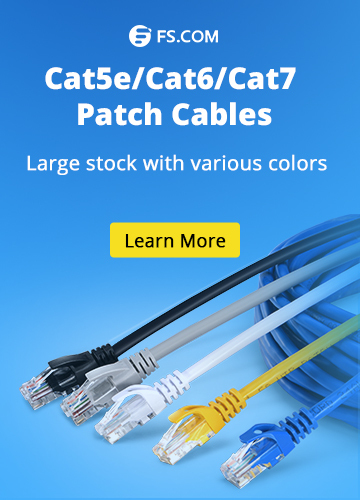 Fiber optic connectivity is of great importance when the distance between two network devices exceeds the transmission distance of copper cabling or fiber structured cabling. In such cases, media converters really mean a lot. There are various copper-to-fiber and fiber-to-fiber media converters available that support different data rates, and cabling. Copper-to-fiber media converters are compact devices that provide seamless integration of copper and fiber cabling. Ethernet media converters belong to this kind. Supporting the IEEE 802.3 standard, Ethernet copper-to-fiber media converters provide connectivity for Ethernet, Fast Ethernet, Gigabit and 10 Gigabit Ethernet devices. They can perform 10/100 rate switching, enabling the integration of equipment of different data rates and interface types into one seamless network. The following shows how Ethernet copper-to-fiber media converters work. Fiber-to-fiber media converters are also compact devices. But unlike copper-to-fiber media converters, fiber-to-fiber media converters offer seamless integration of different fiber types by converting multi-mode fiber to single-mode fiber, and dual fiber to single-fiber. With a single-mode to multi-mode fiber converter or multi-mode to single-mode converter, the conversion from one wavelength to another one is made possible. The image below displays the outlook of a single-mode to multi-mode fiber converter. The applications of media converters are specific. For instance, when to convert 1000BASE-T and 1000BASE-SX, an Ethernet media convert is needed. What’s more, media converters can convert between wavelengths for wavelength division multiplexing (WDM) applications, such as WDM multiplexer and WDM transceivers. In addition, media converters can support advanced bridge features, including VLAN, Quality of Service (QoS) prioritization, Port Access Control and Bandwidth Control that facilitate the deployment of new data, voice and video to end users. Media converters can provide all these sophisticated switch capabilities in a small and cost-effective device. Media converters support a wide variety of protocols, data rates and media types. They are flexible and cost-effective devices for implementing and optimizing fiber links in all types of networks. 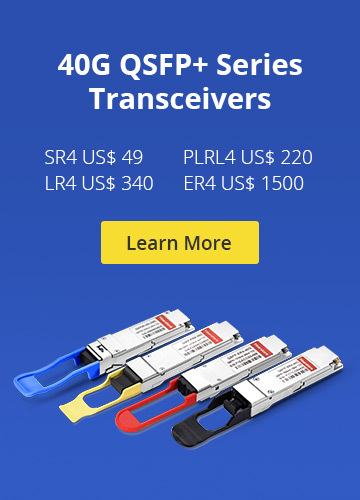 Fiberstore offers a large selection of fiber media converters with high quality for Ethernet, Fast Ethernet, Gigabit Ethernet, 10-Gigabit Ethernet, and Data Communications. Please visit Fiberstore for more media converter solutions. 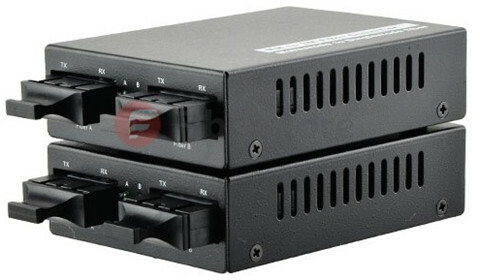 Fiber Media Converter, Network Media Conversion copper-to-fiber media converters, Ethernet copper-to-fiber media converters, fiber-to-fiber media converters, Media converters, multi-mode to single-mode fiber converters, single-mode to multi-mode fiber converter, WDM transceivers. permalink.